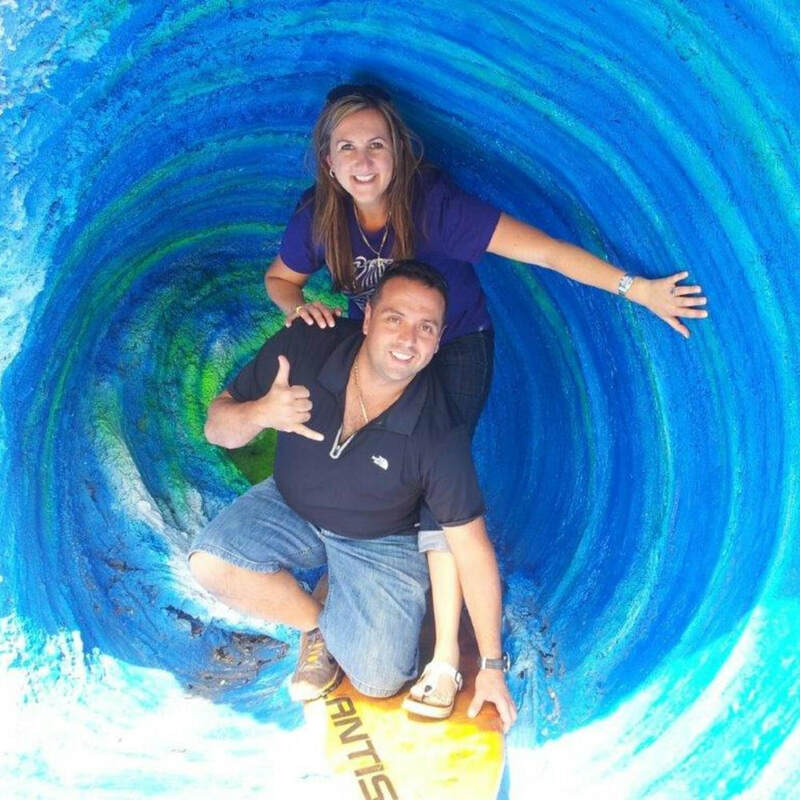 ​Greek immigrants Peter & Vicki (aka mum & dad) decided to leave life in inner city Prahran & head for the country. Devon Meadows to be precise! To lush green acreage, clean air & not a neighbour in site! 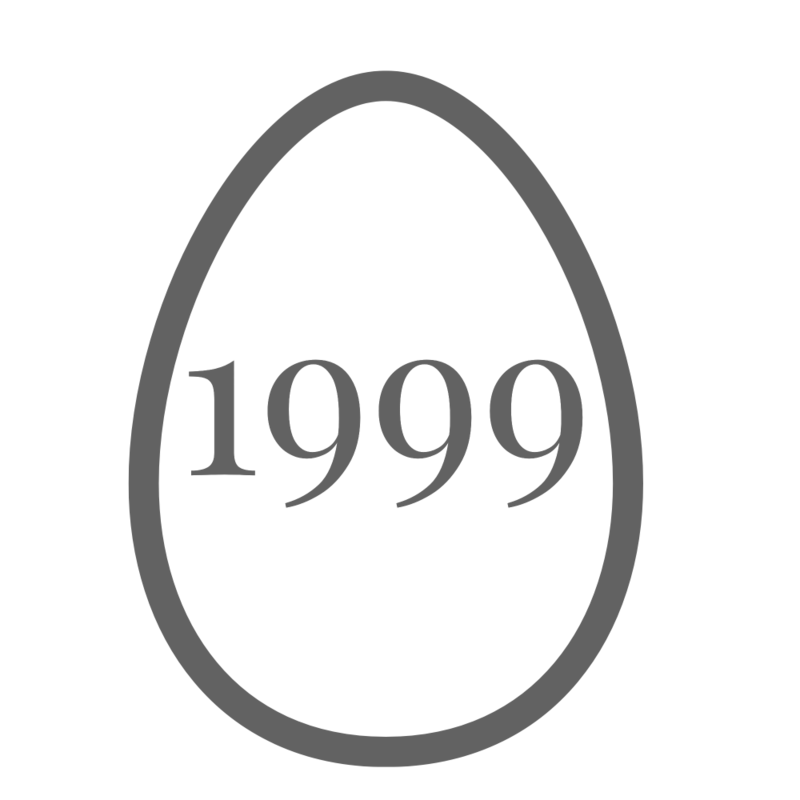 Mum & dad wanted a better life for the family & they felt that egg farming & the country was going to be that life! 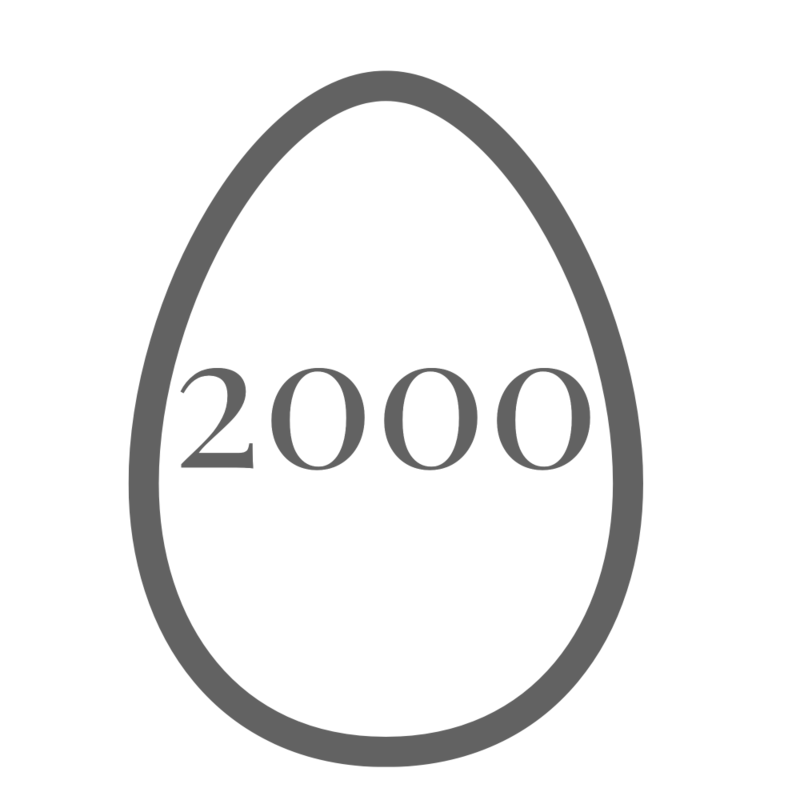 The original quota of 3000 hens a far cry from where the family would eventually take the farm over the next 50 years! 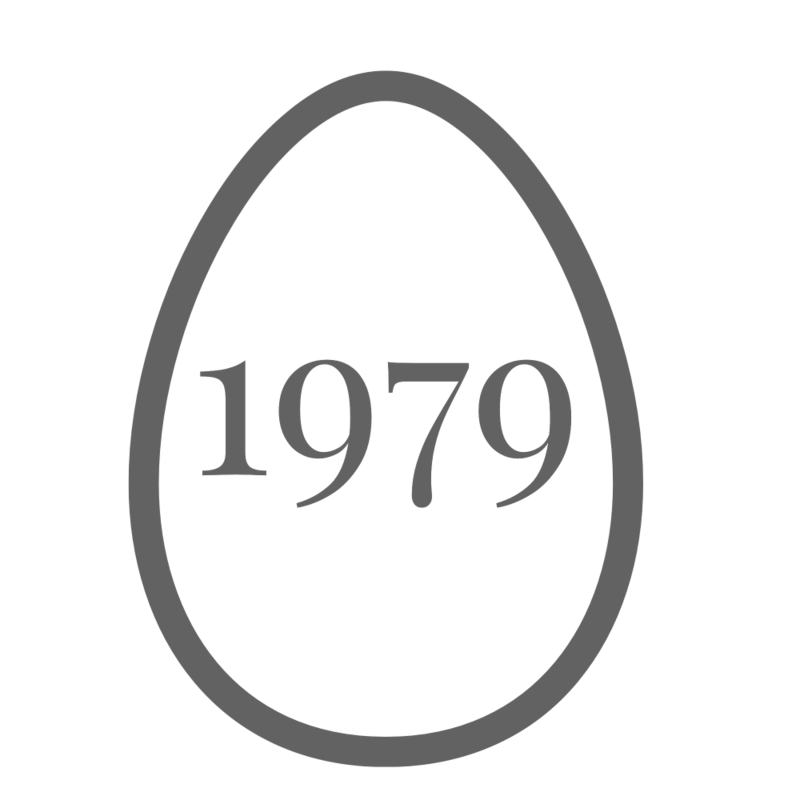 ​What a year 1975 was. I was the fourth child in what had become a family of 6. 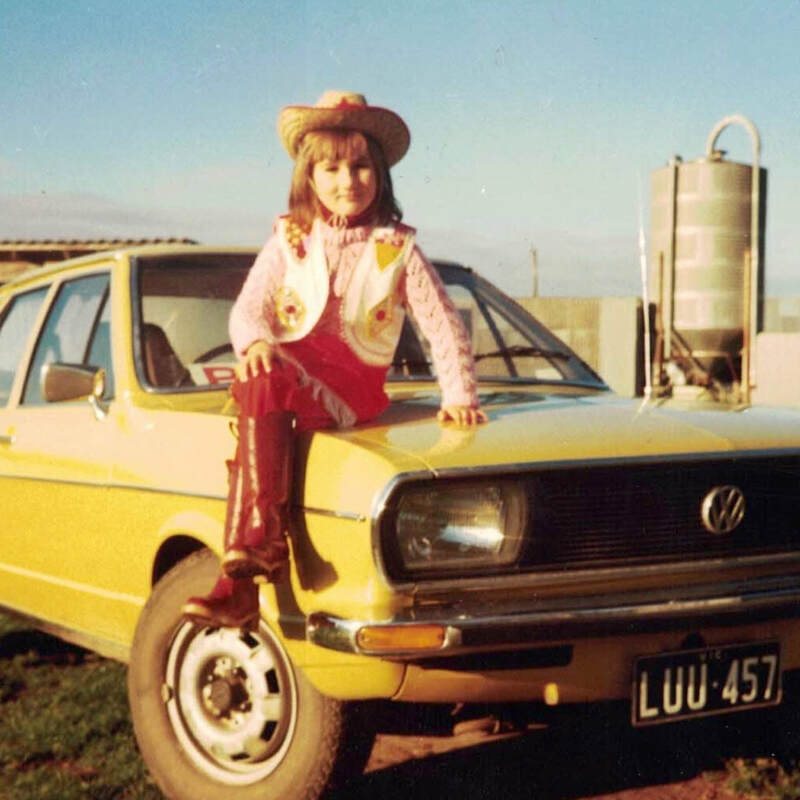 A baby girl who had absolutely no idea that all her life would be spent in the same home, on the same farm, that me, Al & our two gorgeous girls still call home today! 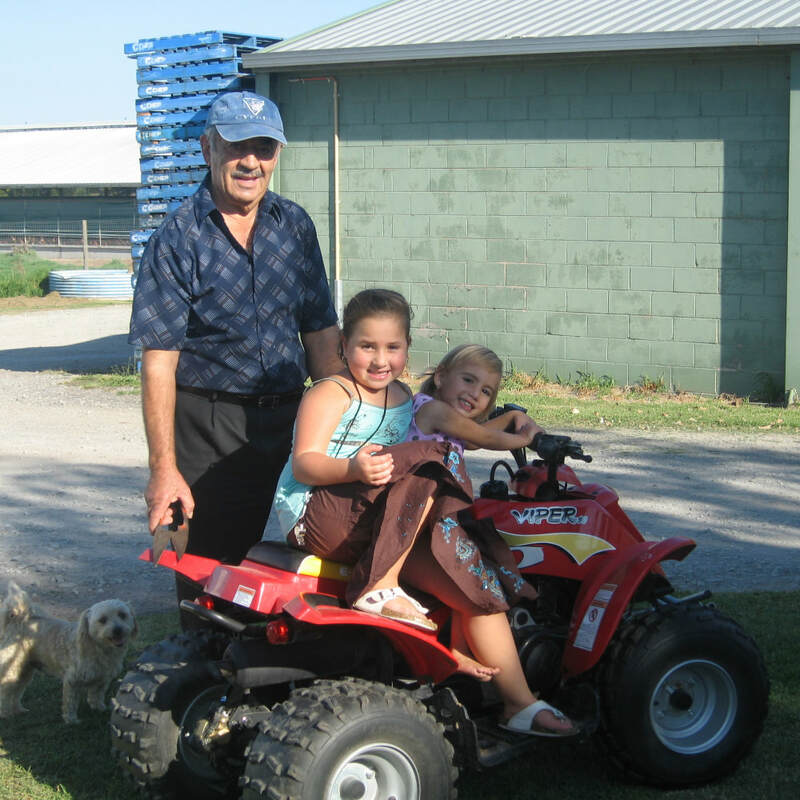 I would spend most of my days playing and having adventures on the farm with my brother & two sisters! When we weren’t playing, eating together or sleeping, all four of us would help mum & dad with egg collection. No fancy machinery like we have today making egg collection a breeze. Back then I remember there was lots of manual labour. Manure covering the floor & hand collecting eggs on old push trolleys! At that time, I never imagined that 30 years later I’d be married and Alan & I would be raising our own two little girls, Pandy & Meranda, on the very same farm in the years that followed. 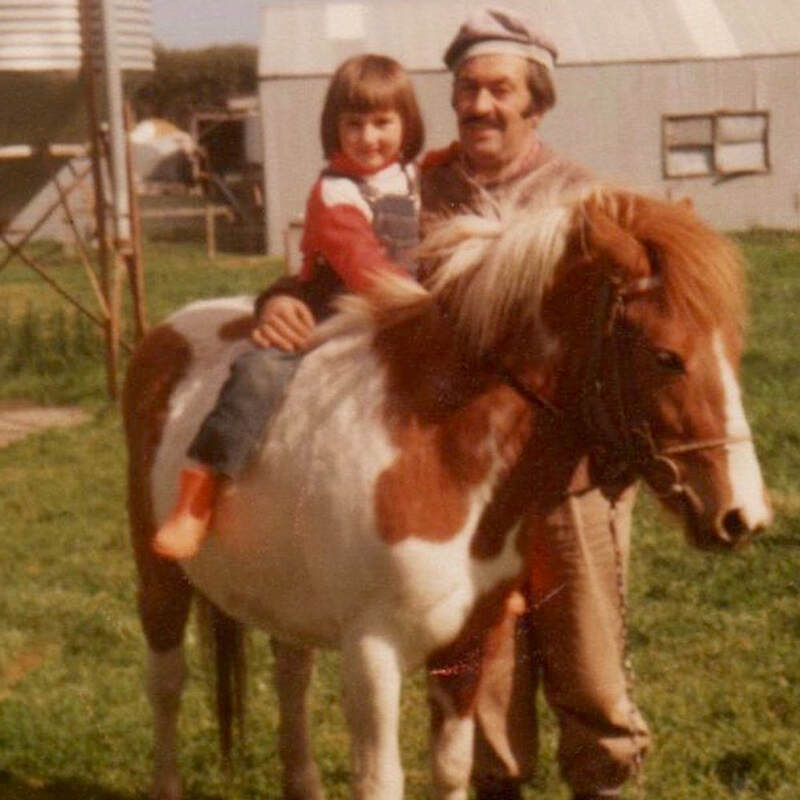 And that both our girls would one day be just as passionate about animals, especially horses & hens, as I was way back then in the late 70's & early 80's! 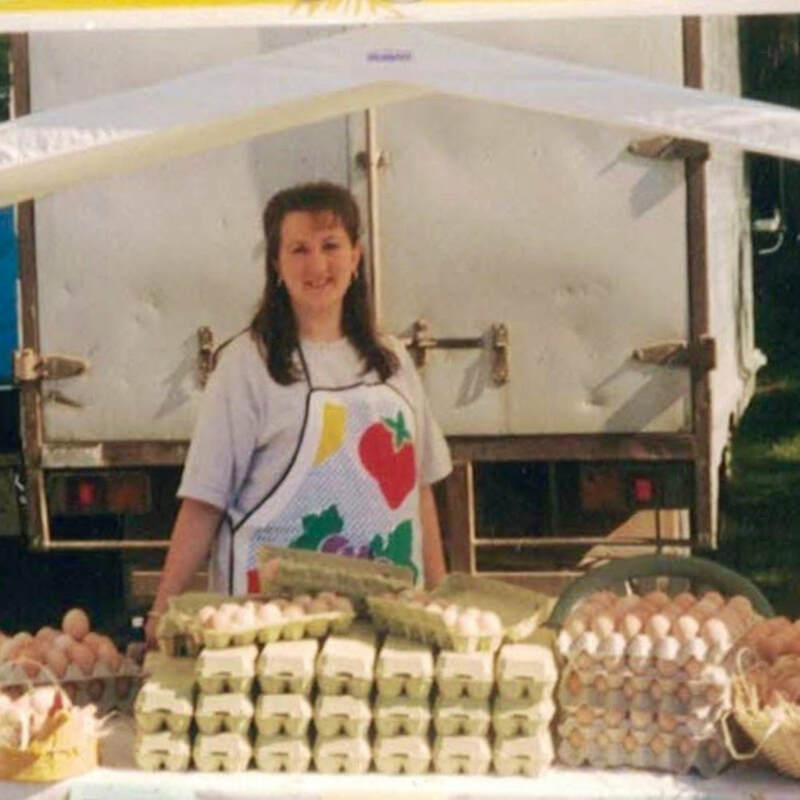 Mum & dad never pushed us kids into being egg farmers! 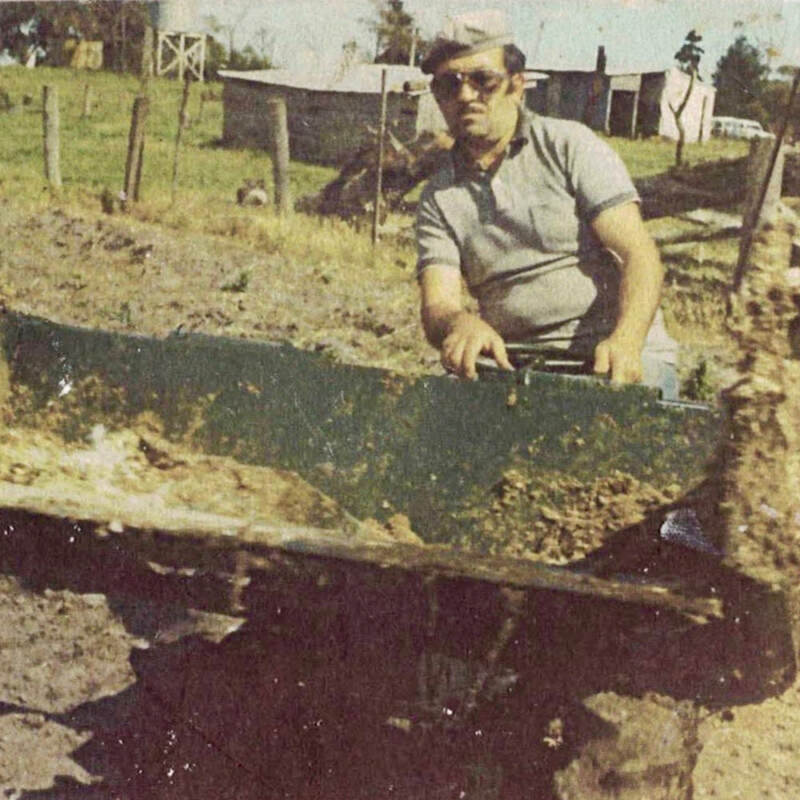 Mum & dad made a great living & led an awesome but tough life on the farm. They just wanted “something better” for us. 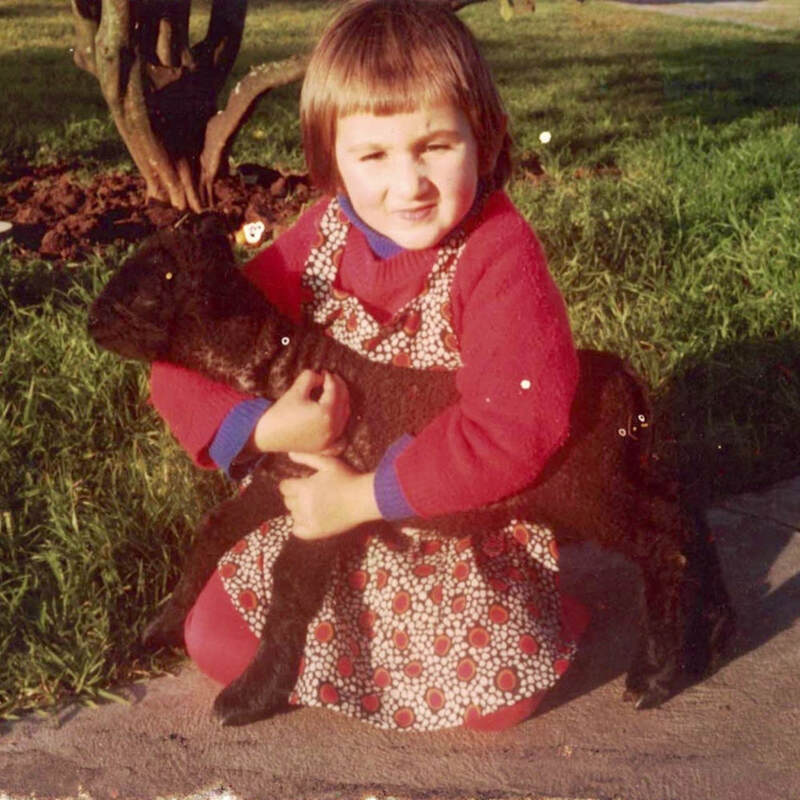 So in 1993 I went off & studied Accounting at Monash… thinking that a life on the farm might not be for me. 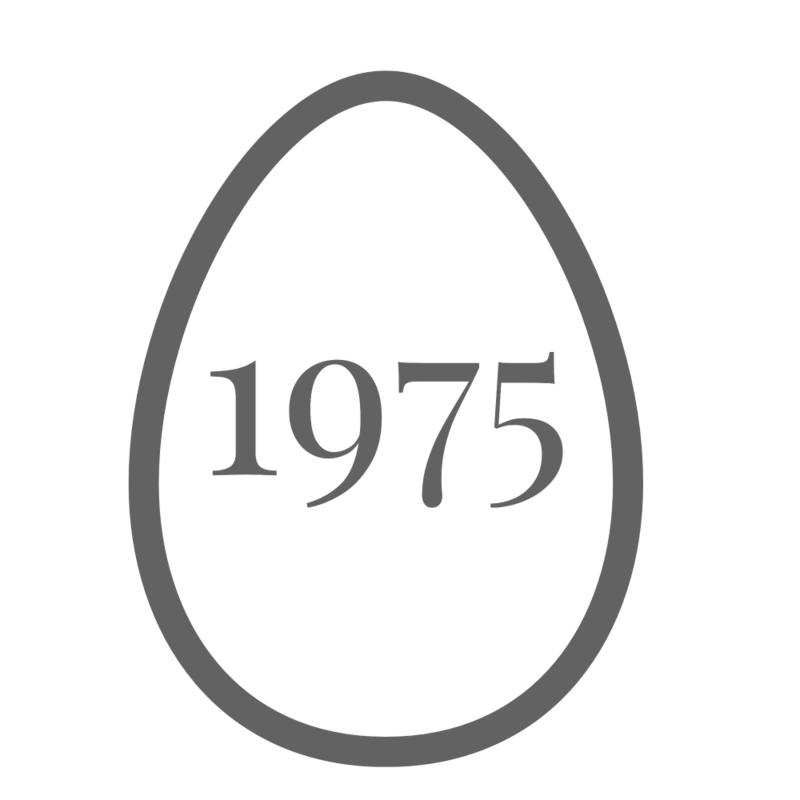 By the time I finished Uni, mum & dad had grown the humble farm to a sizeable operation of 16,000 hens and were nearing retirement. In those days, the market demanded caged eggs so that’s what they gave the market. But caged egg farming wasn’t for me! 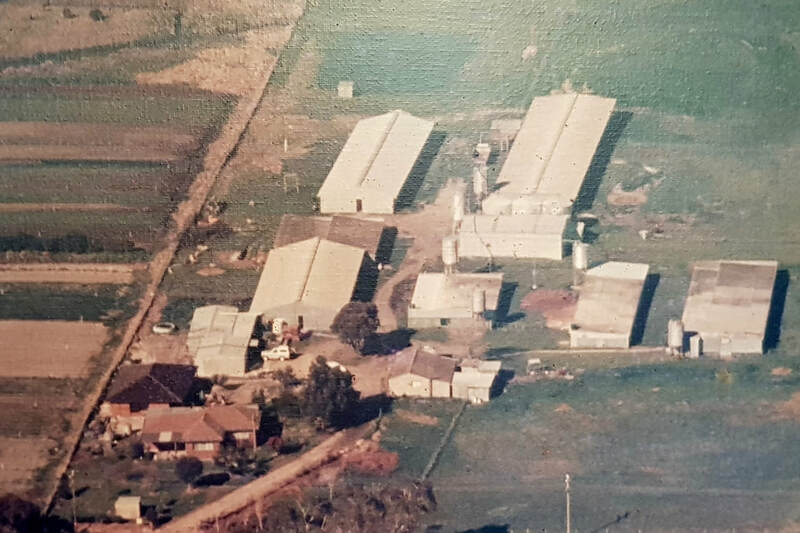 The leading free-range egg-farm in Victoria that supplied independent grocery stores & fed families across Victoria with the most delicious & wholesome eggs they’d ever eaten! I ran the idea by Alan, who was now my hubbie & he loved it. Mum & dad were on board too. 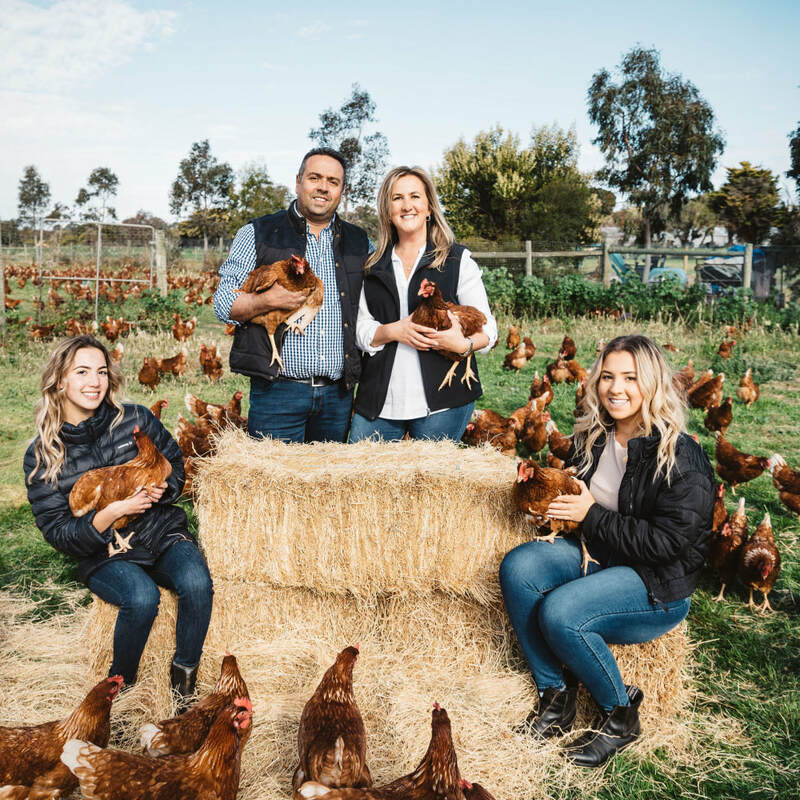 With all the family’s support, we trialed a range of free range sheds and also brought back some of mum & dad’s old-school farming methods from 30 years earlier. Growing up in the 70’s & 80s I cared so much for animals but not everyone necessarily shared the same view. But in the late 90's, city & country folk alike started realising the importance of animal welfare. Maybe this sparked our enthusiasm. Especially our hens, horses, dogs, sheep and alpacas, which are all a big part of us! 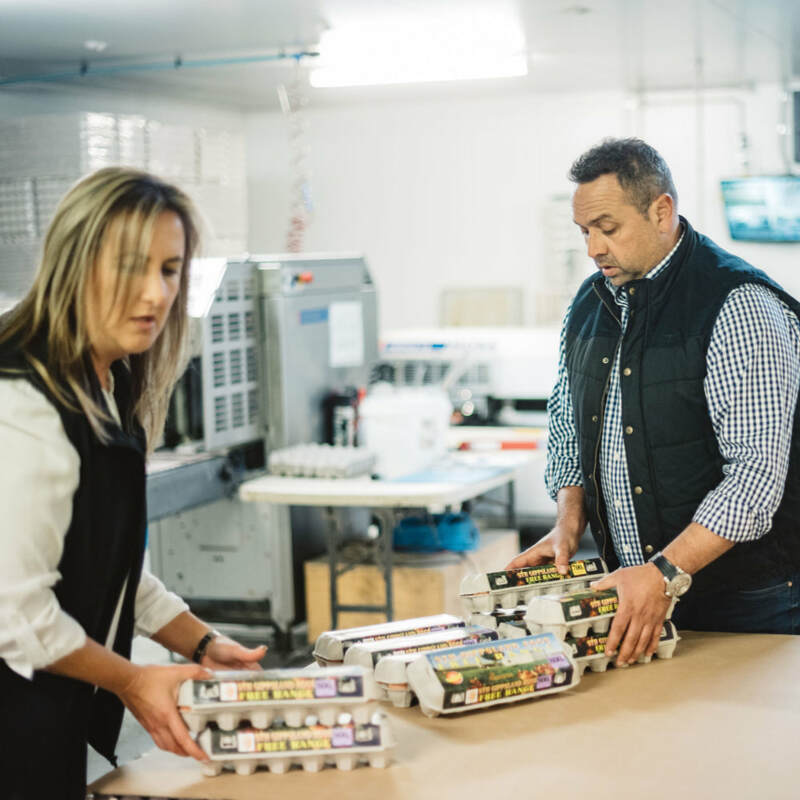 ​What’s the best way to get the word out about our free-range eggs? After farming processes & methods, that was the burning question that kept us up at night in the early days. That & my loving husband’s dedication to getting up in the early hours of the night to deliver the eggs so he could be back on the farm to feed the chickens. 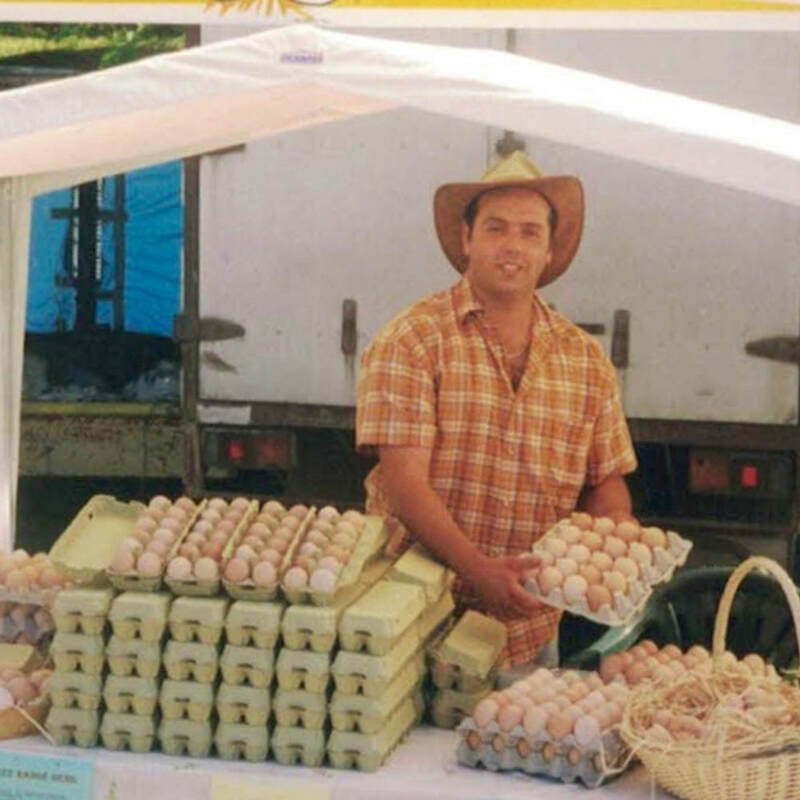 Alan & I decided the best way to spread the “Sth Gippy Eggs Word” was to hit the Farmer’s Markets. So while I was at home raising our two little girls, Al was out each and every Sunday at whichever Farmer’s Market was on. 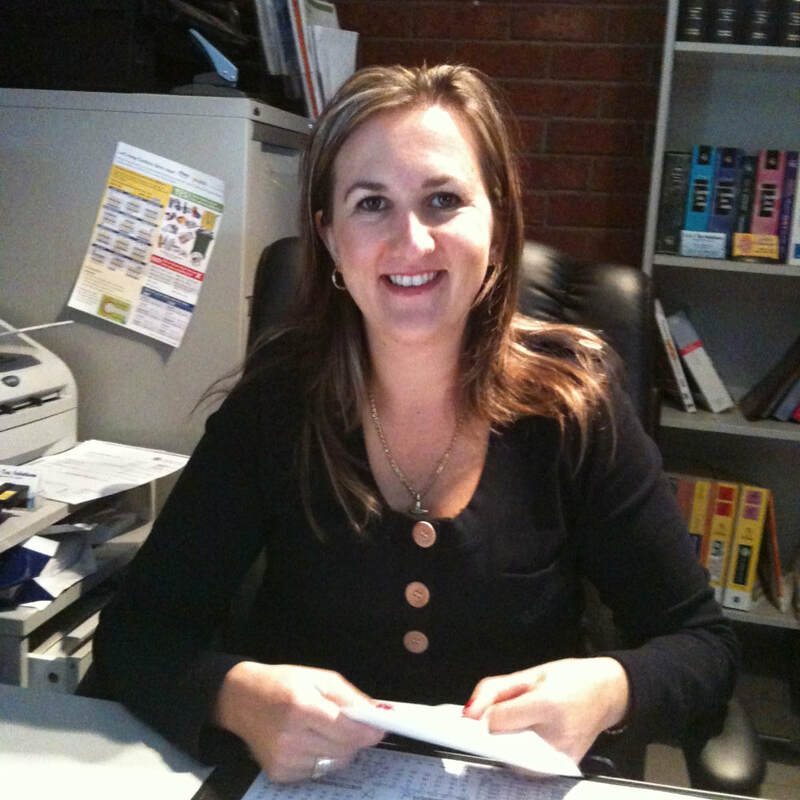 Talking to real people and getting all their amazing & invaluable feedback. All whilst enjoying the best bacon & eggs you'd ever find! 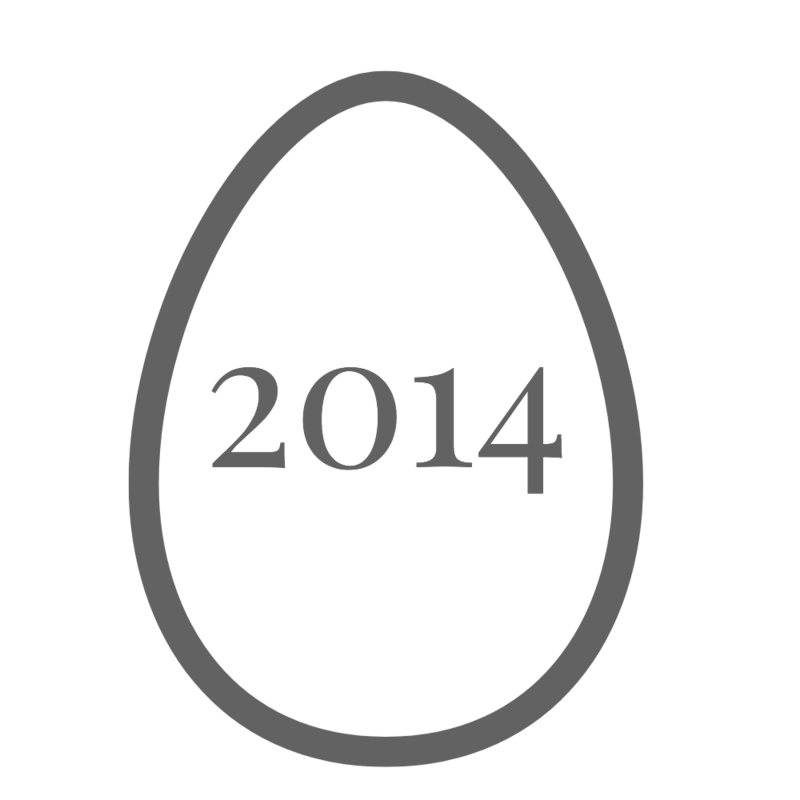 This was one of the most rewarding times in our egg journey & no doubt one of the most valuable too. 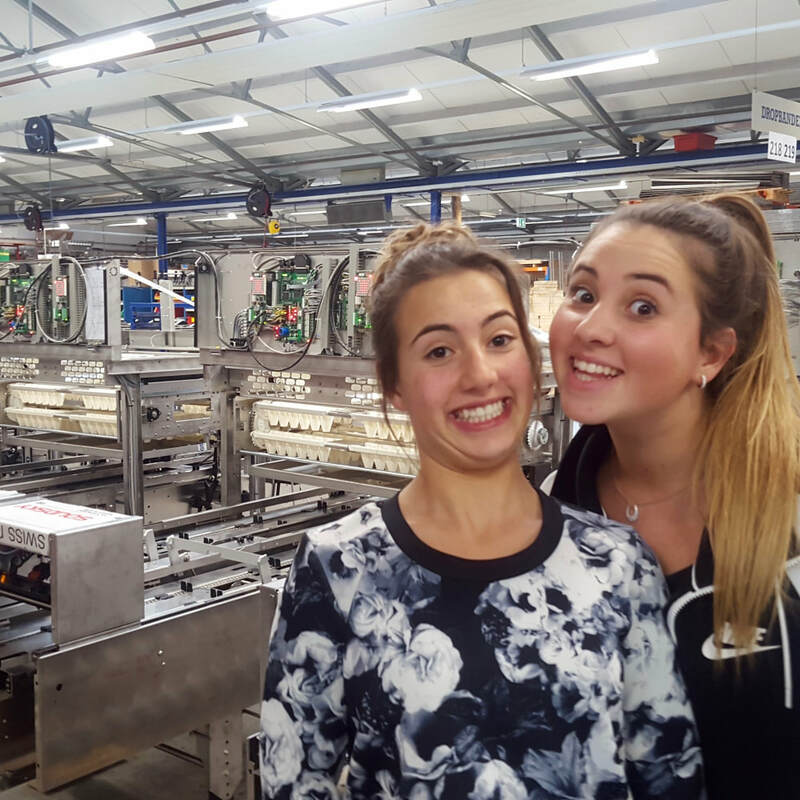 In 2014, the four of us visited farms, MOBA & conducted research on a visit to the Netherlands - global leaders in free-range nesting equipment! 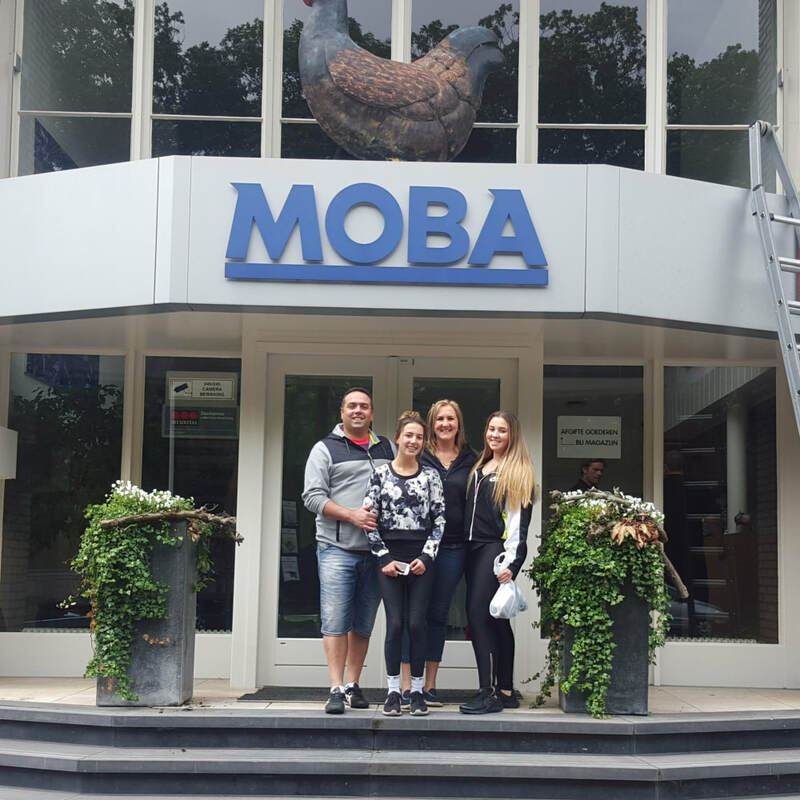 MOBA being the leading manufacturer of grading, packing and processing equipment for the egg industry. 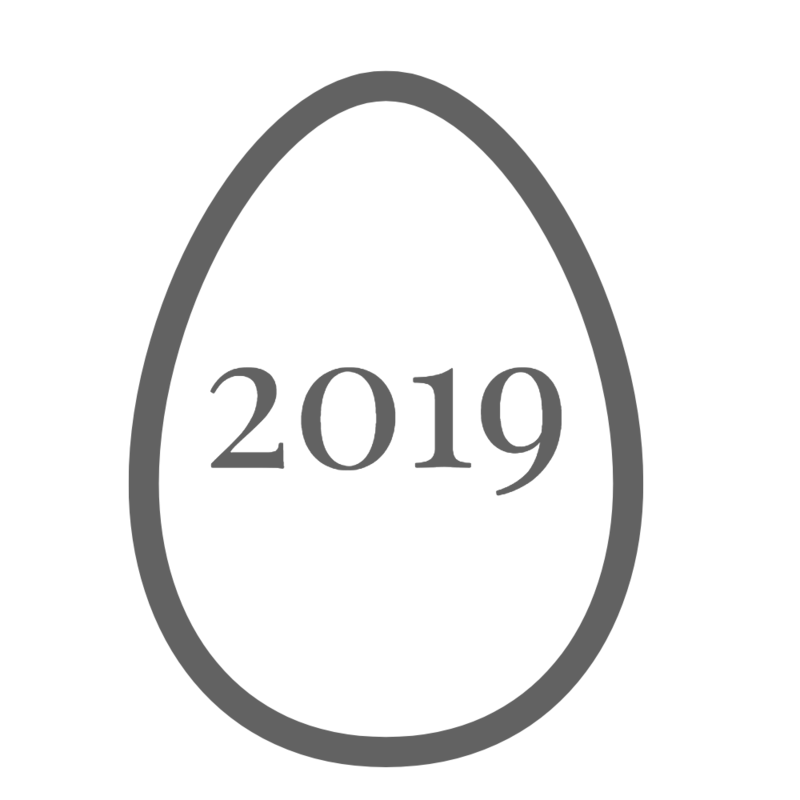 By implementing cutting edge technology into our farm, this meant the old dusty shed was now replaced by a dust free clean collection room & rather than tough labour and hand collection, our eggs now come to us by a push of a button! The hens are happy, egg collection is a breeze & we can focus on our daily mission of finding ways to love our hens a little more today than we did yesterday. Because happy hens lay the most delicious & wholesome eggs! Sadly in November of 2017, my late father Peter passed, having been widowed by my late mother Vicki years earlier. This story would not be complete without mention of them. Mum & dad were both unconditionally proud of us in each and every way and supported us until their respective ends. 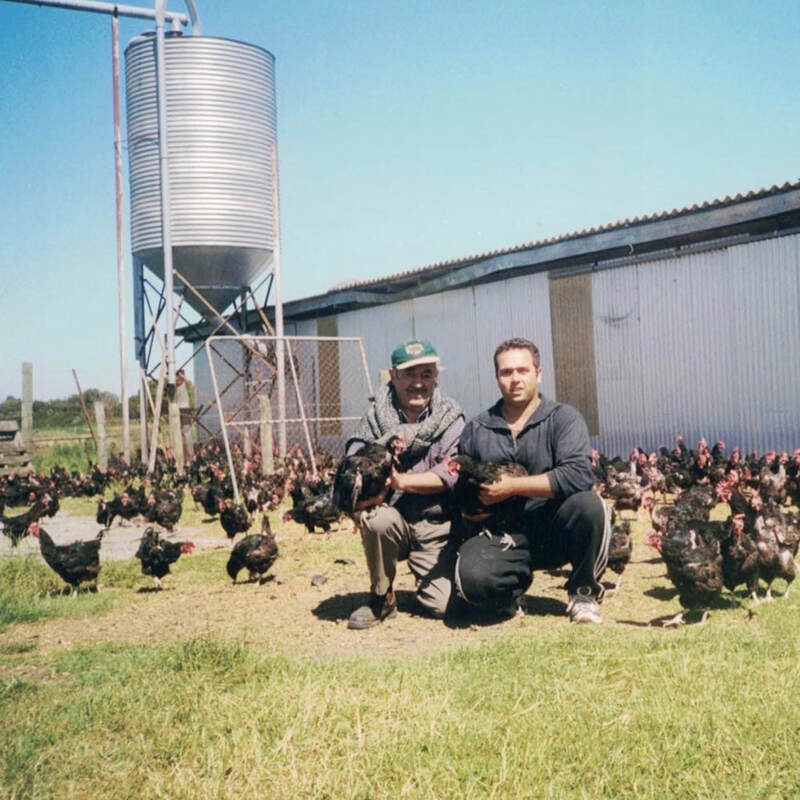 In fact, dad would help with egg collection, check paddocks and look after the chooks & sheep each and every day. 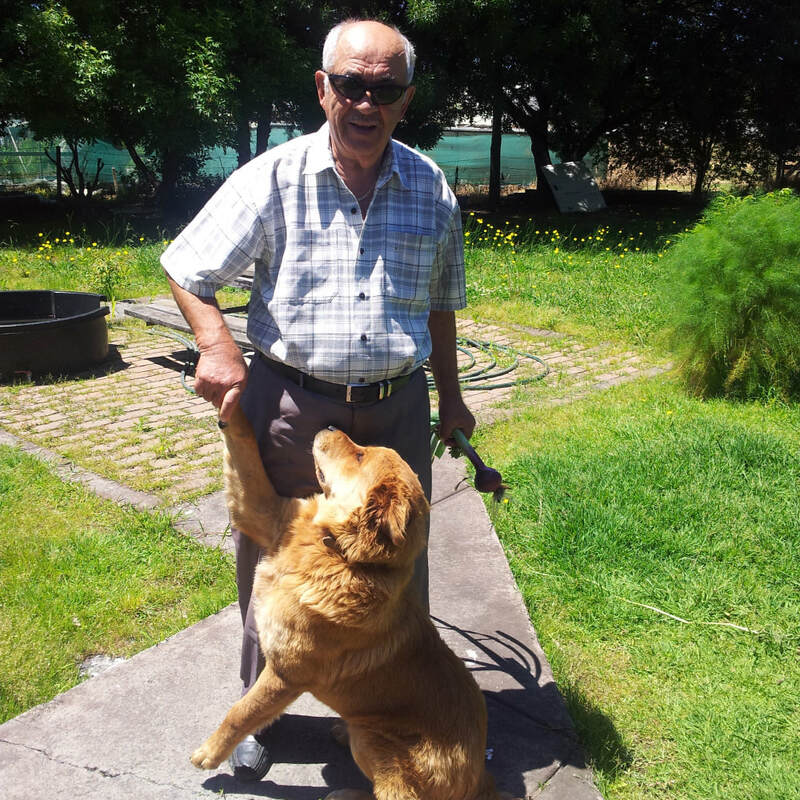 His passion had an enormous influence over us, as did his unconditional love for animals. No doubt where I got my love for animals too! 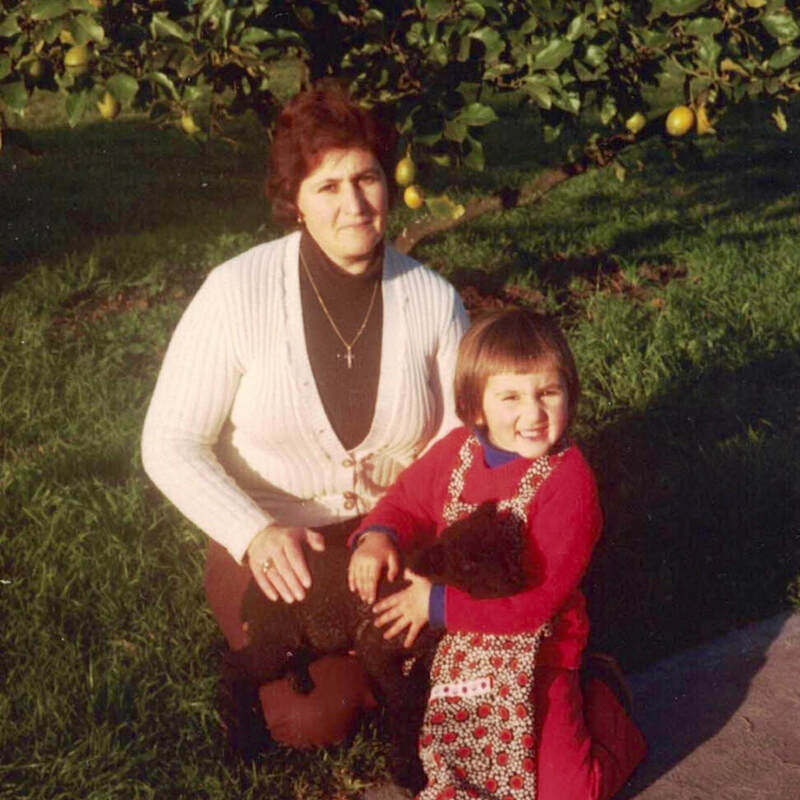 Where this farming story really began! 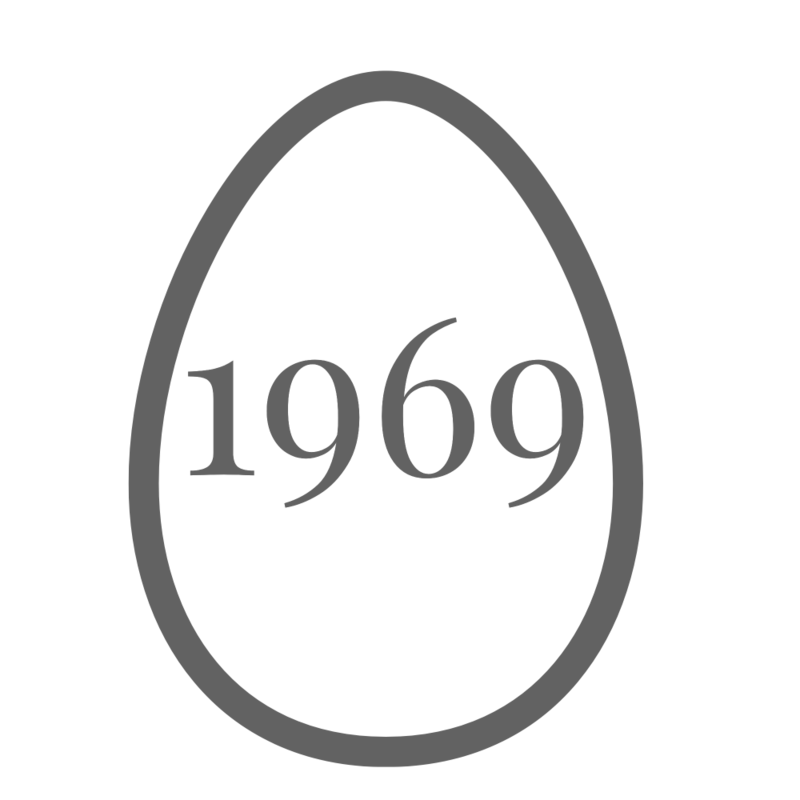 ​In 2019, it will be 50 years since mum & dad first arrived to the farm & our egg adventure began. 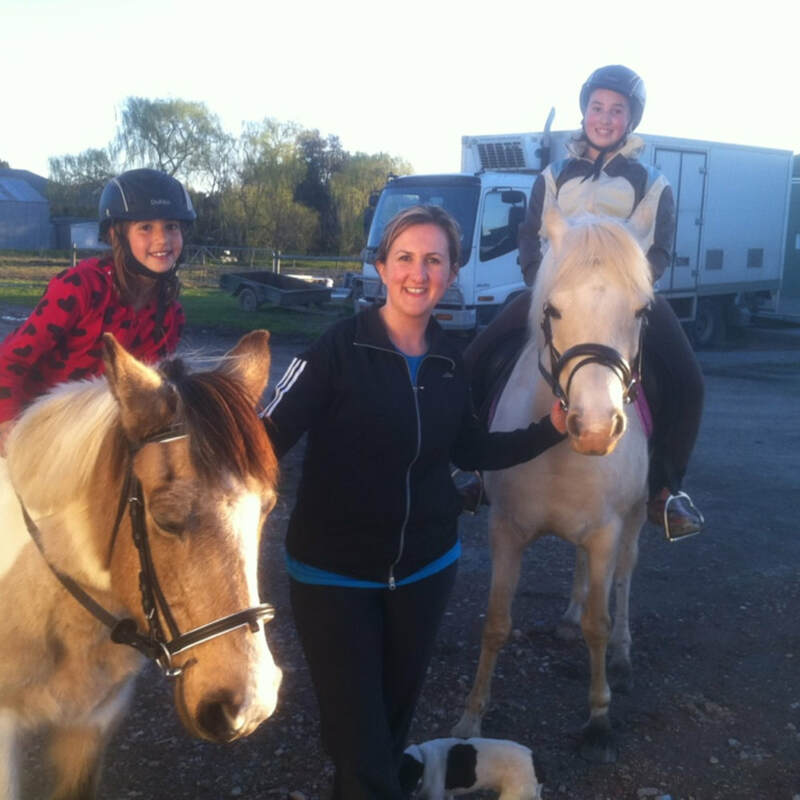 Three generations on & we are still loving the hens, the horses and life on the farm.